Adaptation to increasing heat stress is likely to be more difficult than to changes in hydrology, mainly because managed stress screening is difficult for national breeding programmes that may not have access to trial sites at which high temperatures can be reliably expected at appropriate growth stages. However, Wassman et al. (2009b) noted that there are several rice-producing regions in which temperatures during the sensitive flowering stage exceed 36 or even 40°C. Germplasm from these areas will serve as an important source of tolerance in other regions as average temperatures increase due to climate change, but mechanisms to make this germplasm available to other regions and countries must be strengthened, and screening and germplasm exchange networks specifically targeting heat tolerance, which currently do not exist, must be developed. As noted above, the range of hydrological conditions likely to face rice producers coping with a changing climate already exists, and is addressed by the breeding programmes of IRRI and other institutions. Multi-environment testing and germplasm distribution networks will be critical to the rapid dissemination of germplasm adapted to new hydrological conditions. The cooperative International Network for Genetic Evaluation of Rice (INGER), managed by IRRI on behalf of the rice breeding community, is the primary vehicle for this dissemination process. INGER differs somewhat from other international germplasm networks coordinated by the Consultative Group on International Agricultural Research (CGIAR) centres, in that its focus is on dissemination of germplasm targeted at particular MEs, rather than on data collection. Given the relative ease with which hydrological MEs can be simulated in managed stress trials at single locations within breeding programmes, there has apparently been less demand by rice breeders for multi-location testing data. The need for high-quality data from trials that sample the TPE directly, however, is increasingly felt, particularly in breeding for drought tolerance. This has led to the establishment of several hydrology-specific collaborative testing networks, notably the IRRI-India Drought Breeding Network and the Upland Rice Shuttle Breeding Network, both of which are collaborative testing networks linking IRRI with national breeding programmes targeting upper-toposequence, drought-prone environments in India. Such networks, which usually involve a rather small group of highly motivated collaborating programmes, and which meet regularly to discuss screening techniques and to exchange and interpret data from collaborative trials, may be preferable to wide-scale 'box and spreadsheet' networks (i.e. those in which the coordinating centre sends out boxes of packaged seed to collaborators, who then send back data spreadsheets) in environments where stress screening is difficult and the target environment is very clearly defined in terms of hydrology. They have proven especially useful in rainfed rice breeding, and will certainly be needed to cope with heat stress, which is difficult to simulate in a managed stress environment. Maize varietal adaptation to environments is affected primarily by day length, average temperature, seasonal rainfall, subsoil pH, soil N fertility (or fertility management regime) and characteristic foliar diseases (Banziger et al., 2004). 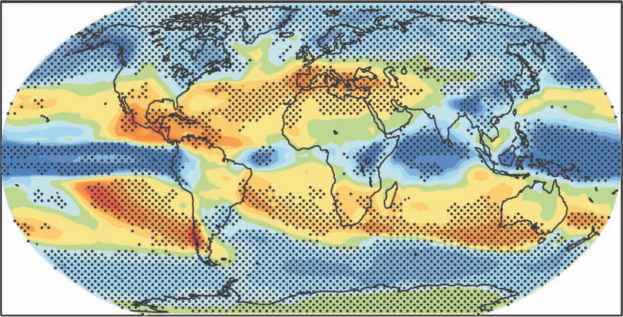 At high latitudes, the requirement to use the full growing season to maximize yields has led to very precise targeting of hybrids to bands with similar accumulation of heat units (Kiniry, 1991), but in the tropics and subtropics, maize genotypes are generally broadly adapted within altitude ranges of around 500 m. Use of these environmental factors as explanatory factors for genotype x environment interaction of advanced hybrids from METs to delineate MEs in southern Africa has resulted in the delineation of six to eight MEs (Banziger et al., 2004; Setimela et al., 2005). Similar combinations of climatic and edaphic conditions exist within and across continents, allowing maize MEs to be approximately identified on the basis of geographical information system (GIS) data, and quite accurately predicted when combined with information on disease prevalence. Thus, as climatic conditions change at particular sites, it will be possible to reassess the ME assignment of the site, guiding breeders to appropriate new germ-plasm. However, environmental variability remains high within MEs, especially in developing countries. This is in part due to management and soil quality variation, which tends to be very great in agroeco-systems where commercial and subsistence producers coexist, and to the frequency of occurrence of severe abiotic stress, notably drought, in many areas. This within-ME variability must be taken into account in variety evaluation (Banziger et al., 2004). Within the commercial maize MEs in North America, it has been well documented that genetic gains have resulted largely from increases in tolerance to a range of stresses such as drought, low fertility and cold (Castleberry et al., 1984; Duvick, 1997; Tollenaar et al., 2000). These increases have resulted from broad-scale selection within the TPE via commercial testing networks sampling dozens or hundreds of locations, rather than through intentional selection for tolerance to specific stresses in purpose-designed screens. However, breeding programmes in developing countries where drought is a frequent occurrence rarely have the resources to operate METs on the scale required to reliably characterize germplasm for drought tolerance on the basis of naturally occurring drought. For most stress-prone TPE, then, information from METs must be combined with information from managed stress drought screens to ensure that, within any reasonable number of seasons for evaluation of new varieties, information on stress tolerance can be obtained. The design and use of managed stress environments as a selection tool is complex. Breeders must take into account the frequency of occurrence of particular stresses within the TPE, the precision of yield estimation within a managed stress screen (broad-sense heritability, or H) and the genetic correlation between yield in the screen and yield in the TPE. The genetic correlation between yield in the screen and yield in the TPE is difficult to measure and usually unknown, but for drought-prone environments, it should not be assumed a priori to be high. This is because managed drought screening trials are usually conducted outside the main production season, when photoperiod, temperature, humidity and disease pressures differ from those in the rainy season. Nevertheless, out-of-season trials are usually the only possible option for ensuring the imposition of drought stress, and are routinely used by the CIMMYT Global Maize Program under the assumption that they are predictive of variety performance in drought events during the main season. Yield under drought and low-N stress, like yield under optimal conditions, is a highly polygenic trait with low heritability. In general, the broad-sense heritability or repeatability (H) is somewhat lower in managed stress trials than in adjacent, optimally managed trials for both drought and low-N stress. For low-N stress, Banziger et al. (1997) surveyed 14 paired experiments where the same sets of genotypes were evaluated under high- and low-N fertilization and found mean yields of 5.52 and 2.51 t/ha, respectively. Mean H for yield in the low-N trials was 0.44, versus 0.62 in the optimally fertilized trials. For a similar series of comparisons conducted in managed stress drought trials, Bolanos and Edmeades (1996) reported that H for grain yield on an entry-mean basis in single trials declined similarly from a mean of about 0.6 under well-watered conditions to 0.4 under very severe anthesis-stage stress. Low H for yield under drought stress is partly a result of the complexity of screening. Achieving appropriate stress levels in early-generation line populations with diverse flowering dates (because they have not yet been characterized adequately) is difficult, with a considerable frequency of trials failing to differentiate materials due to excessive or insufficient stress. The problem of low heritability of yield in drought and low-N stress trials is compounded within the CIMMYT maize breeding programme, from a selection standpoint, by the fact that new genotypes are evaluated in Stage 1 testing (the preliminary testcross evaluation step) in only one managed stress trial for low-N tolerance and one for drought, whereas they are usually evaluated in three or more non-stress trials at the same stage. As a result, precision of estimation of yield under non-stress conditions is much higher than under stress, due to greater replication of the selection unit. Little attention has been paid to the problem of assigning proper weights to information from managed stress trials, which have relatively low precision due to low levels of environmental replication, when making selection decisions that also take into account more highly repeata-ble means estimated from non-stress trials conducted across more locations. Methods for combining data from trials differing in information content to predict performance in a target environment are available (Atlin et al. 2000; Piepho and Mohring, 2005; Crossa et al. 2006), but these methods depend on the availability of information on the frequency of drought within the TPE, and on an accurate estimation of the correlation between yield in natural droughts and managed stress environments, which is rarely available. Despite the problems and uncertainties inherent in selection based on combining data from yield trials conducted under optimal and managed stress conditions, the CIMMYT maize breeding programme has demonstrated that this approach is effective in drought-prone environments in sub-Saharan Africa. Breeding for drought-prone and low-fertility environments was initiated in the 1970s and 1980s, respectively (Edmeades et al., 1989). Yield under low-N and drought stress is the focus of CIMMYT breeding efforts, which integrate data from multi-location testing under well-fertilized conditions with phenotypic information on managed stress screening for yield in severely N-depleted fields and in managed stress trials where severe water stress is applied at flowering. In a series of 97 multi-location trials conducted over 3 years in eastern and southern Africa, which yielded less than 3 t/ha due to drought and/or low-N stress, 42 CIMMYT hybrids developed via this protocol out-yielded 41 commercial hybrids by an average of 18% (Banziger et al., 2006). The proportionate advantage of hybrids developed using the CIMMYT managed stress protocol was greatest in the lowest-yielding environments. The combined use of managed stress testing in early generations and multi-location testing in transnational networks at later stages has been expanded in sub-Saharan Africa under the auspices of the Drought Tolerant Maize for Africa project, which links CIMMYT's breeding programme with national and commercial programmes in 13 African countries. As noted for wheat, the CGIAR centres play an important role in making information on germplasm adaptation available across countries and regions. These networks are critical in disseminating the germplasm that will be needed to cope with climate change, and must be strengthened. MEs occur across political jurisdictions, but breeding programme targets, and often their testing locations, are usually designed with respect to political realities (Hamblin et al., 1980), and there is a strong tendency on the part of breeders managing local or national programmes to consider data only from their own testing system. Atlin et al. (2000) and Piepho and Mohring (2005) demonstrated that there can be substantial increases in precision of cultivar evaluation by incorporating information on performance at sites outside the mandated TPE of a breeding programme but within the same ME. Breeders' access to such information usually ranges from limited to non-existent, with some important exceptions. For example CIMMYT's regional maize variety testing networks in eastern and southern Africa serve many countries that have limited variety testing capacity, but which contain, in differing proportions, many of the same maize MEs. Information from environmentally similar sites outside their jurisdiction is available to breeders with limited resources through such METs. However, there are few such well-managed international testing networks for maize and other important crop species that provide breeders with easy access to analysed and interpreted data and parental seed of the varieties included in the trials. Any effort to help impoverished maize farmers in the developing world cope with climate change must support both: (i) strong local breeding programmes with extensive MET networks and relevant managed stress screening; and (ii) sustained collaborative international testing networks that allow breeders access to both germplasm and information from a wider range of locations within their MEs, and from MEs into which their own TPE may shift as a result of climate change.